What does it mean to dream of an apricot? Apricots are a fruit and can give us a lot of insight into our dreams when we understand what they might mean as a symbol in our lives. Dreaming of an apricot often means you are an optimist and make the best of a situation, even if the circumstances in your life are not truly ideal right now. You take much pride in your efforts and you feel worthwhile about working hard on your path to achieving your desires. You may be feeling that your hard work is about to pay off. 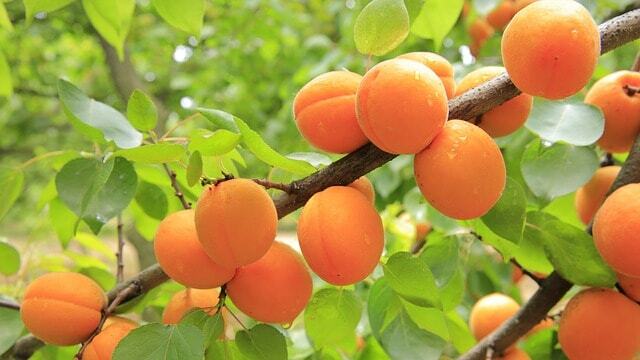 Apricot trees growing in your dreams is a symbol for success or that you will see the yield from your hard work. Learning about trees and their meanings can also give you more insight on what your dream might mean if you have a dream about a tree. There are however, some possible negative meanings to a dream about apricots. Many people enjoy the fruit, however the seeds are quite toxic. This could mean that while you feel good on the exterior, there may be something inside that is bothering you. You may fear you are being disillusioned or tricked into something that seems too good to be true. Apricots can also be a symbol of feeling confused or not sure about a particular event or situation. You may think things seem great, but your intuition might be suggesting you think about the source or have a closer look at something. You may have concerns or worries about whether or not things will continue on the fortunate path you have been on. You may worry that things are not going to always be good. Do you have any dreams about apricots you would like to share? Tell us about them in the comments below! I dreamt that I was packing my clothes to take them out of my bedroom cause a visitor was expected to stay in my bedroom and while doing so my mom gave me some apricots to eat. Some were ripe and some weren’t, and we were both eating them. I dreamt that my front door had turned into light colored good quality wooden doors. They were really lovely. In r2al life I’ve a single no glass panels painted front door. One of the panel was wide open and the landing looked like a workshop of some sort. The workshop was lovely too, nearly new looking, efficient, comfy with a small personal bespoke office desk.